Ask the Expert – Top 10 Things to Do After You Get Engaged! Today we are introducing Junebug’s all new Ask the Expert series where we will be featuring our Junebug Member Wedding Planners and Designers each week. We’re kicking off this exciting new series with Chicago based wedding planner Lori Stephenson of LOLA Event Productions. Lori will be sharing her expert advice for newly engaged couples, and the top 10 things to do after you get engaged! A planner is going to be the most helpful when you hire them from the get-go. An experienced planner can help you find the venue that ticks off the most things on your “wedding wish list” and will make sure you are setting yourself up for success with your budget, planning time and priorities. The most important part of your planner’s job at this point is educating you on what your dream wedding will entail in terms of overall investment and make sure your expectations are managed so that you can move forward together as a unified team to make good decisions based on both style as well as price-point and priority. Some people may consider hiring a planner a luxury they can’t afford, but getting professional help early allows you to go into the planning process with your eyes wide open to what the entire process entails which leads to a more smooth, fun, creative, cohesive and cost-controlled outcome. All decision-makers need to be on the same page about the priorities of your event. Decision makers certainly include the engaged couple – but often need to include parents and other financially committed parties. What are your must-have non-negotiable items? Is it a certain date? A certain guest count? A certain venue? A certain style of reception? Getting everyone on the same page is crucial to an enjoyable planning process. A wedding planner can often be a neutral third party to assist with making sure all the voices are heard. I always say, “It doesn’t cost a penny to dream.” That said, at the start of your planning process, most people deal with a bit of sticker shock at how much weddings really cost. 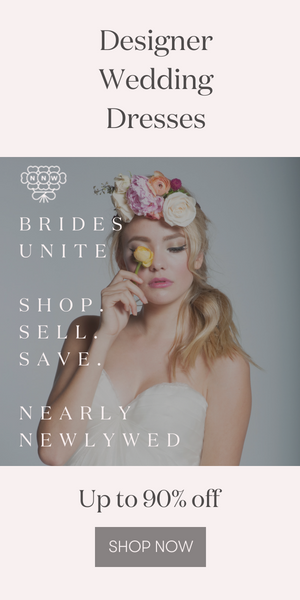 It’s important to understand and research the market you are planning in (for instance, a wedding downtown Chicago costs a lot more than a wedding in a small town down-state Illinois) and to allocate the appropriate funds to your “must have” items. There is a huge range of cost within each individual category of goods and services associated with weddings. This is no different than any other product or service. When talking with the Father of the Bride, I like to compare this to purchasing a car. Some people are okay with a used Honda Civic and other people want a new 7-series Mercedes. Weddings are no different. Budget is based on expectations, and for each family these are different. There is no flat formula that works. Not only will your guest count give you parameters for finding the perfect venue for your size of event, but it is also the single largest factor in determining your budget. Costs including food, beverage, rentals, invitations, centerpieces and more are directly related to the number of people attending your party. Some couples would rather have their dream wedding for less people – in that case it’s the guest count that is flexible. For others, it’s the style of reception, kind of entertainment, or venue for their party. In any case, knowing and agreeing on where you have the ability to flex will be important once you pin down your realistic budget and must-have list to make sure they all align. Now that you know you have a good handle on your wish-list, guest count, and budget – you can seek out venues that tick off the most items in the “pro” column. Having a firm date and knowing the rules and parameters set forth by your venue will be crucial to understand before engaging any other vendors. Tell your VIP’s right away so they can save the date on their calendar. A formal “Save the Date” can be sent anywhere from 6-12 months in advance, but making sure your close family and wedding party are in the know from the get-go is priority. Whether you are working with a professional planner that can provide tools to keep you organized and on task, or you are going it alone, finding a way to stay organized is key. Get a great bridal binder to keep track of contracts and paperwork, create a spreadsheet with columns for overall costs, amounts paid, balances due and estimated gratuities, and create a way to keep your guest list organized that can take you into the final stages of planning including tracking meal choices, assigning tables and even tracking gifts given and thank you notes sent. The best way to make the process of planning a wedding feel overwhelming is by trying to do everything at once. Take your to-do list in bite sized pieces, make firm decisions, then check that item off your list and move onto the next. Decisiveness and organization are the best gifts you can give yourself so this process doesn’t ride off the rails in terms of time or budget. A great big thank you to Lori Stephenson of LOLA Event Productions for sharing her expertise with us! Looking for more wedding planning tips? Check out our Wedding Planning 101 series! Fantastic tips and advice here, thanks! I agree strongly with your first point about making sure you don’t launch straight into planning, but take the time to enjoy the moment of being engaged. Then when it comes to planning, the best thing to do is to stay organised and split up the decisions as much as you can. Even make a timetable for what you need to have planned and organised by which day. Make lists and don’t be afraid to delegate jobs to friends, especially bridesmaids! Getting the venue and wedding photographer booked in is something which you should get sorted as soon as possible as the good ones get snapped up early. Great article, Christine! I love that you advise couples that wedding planning in much like a marriage. It for sure gets sticky and involves a lot of decisions that the couple isn’t used to making together. One thing I would add, is that if a couple can’t afford a wedding planner, having a day-of coordinator is a total must! Having that one person that can bring those details together and make sure things happen will make the day so much better! As a photographer, I can see a huge difference in the weddings that hire a planner or coordinator vs. doing it all on their own. I would highly recommend hiring help! HOw pretty pride i’m fascinate to see her .